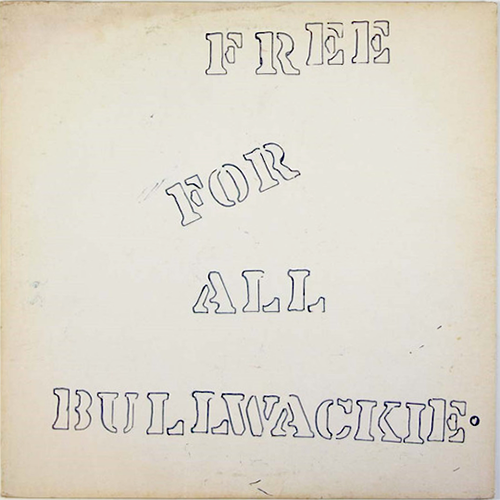 A mid-'70s effort now properly reissued with the original stenciled cover, Free for All is a wonderful example of why so many dubheads fall madly in love with Lloyd "Bullwackie" Barnes' studio and label. 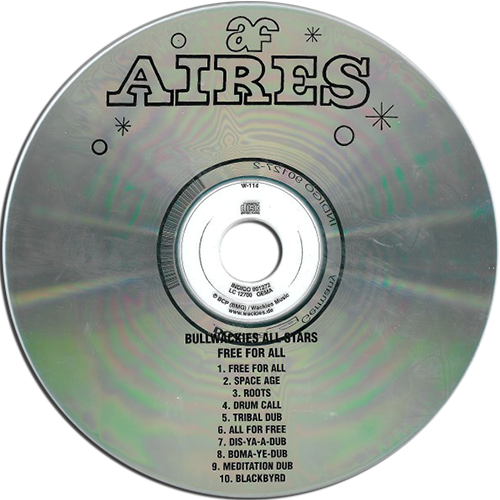 Barnes' New York City-based enterprise, Wackie's, released a series of thick, roots-based reggae albums -- both vocal and dub -- that were getting harder and harder to find until Basic Channel operators Moritz Von Oswald and Mark Ernestus put their devotion in motion and began an ambitious reissue series that unearthed some truly lost classics. 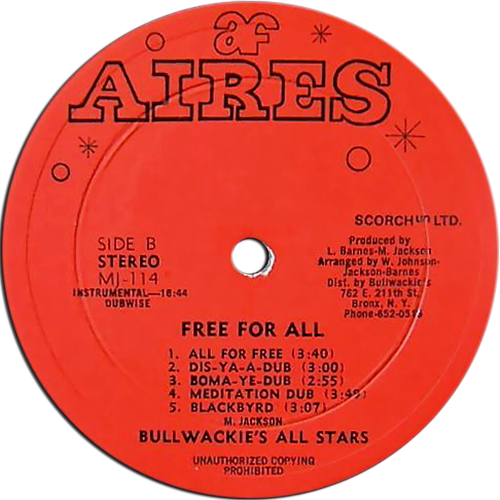 With Free for All they've moved on to the Wackie's side label Aires. 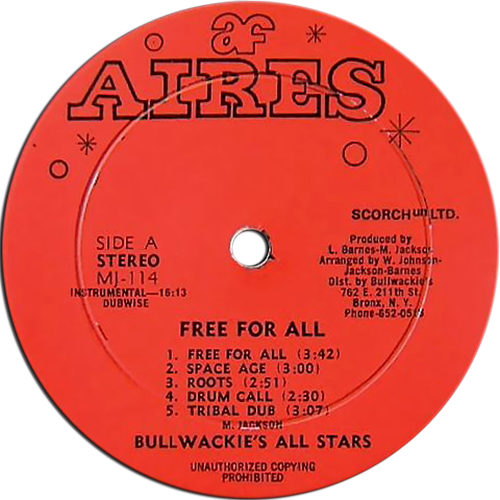 Misleadingly subtitled "Little Roy in Dub" on bootleg -- a bootleg that was much easier to find than the original -- Free for All does include Little Roy dubs along with some backing tracks recorded for vocalists Stranger Cole and K.C. White. 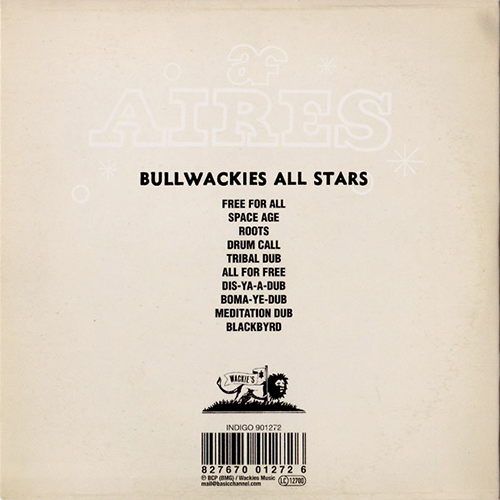 The Wackie's house band -- including the legendary Aston "Family Man" Barrett and Lee Perry associate Charlie Ace -- delivers a dank, strolling set of tunes featuring horns, early synths, plenty of reverb, and fat-bottom bass. Running just over 31 minutes, the album goes for quality over quantity and ends up twice as rewarding as much of the overstuffed competition. Just because this gem is obscure and from a fringe imprint doesn't mean it's not an easy entry point into the rich dub side of Wackie's.